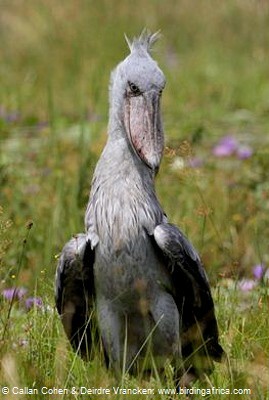 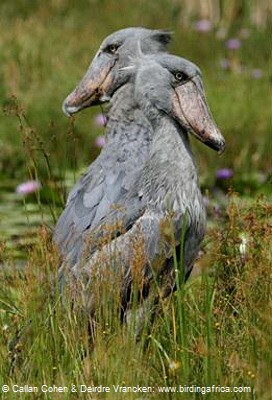 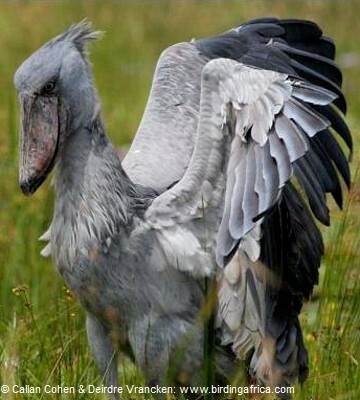 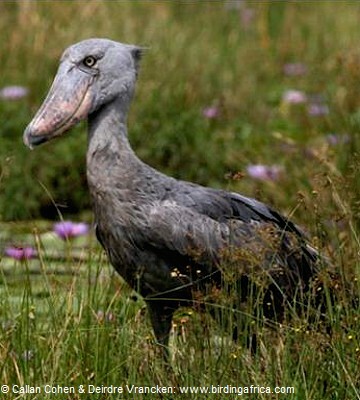 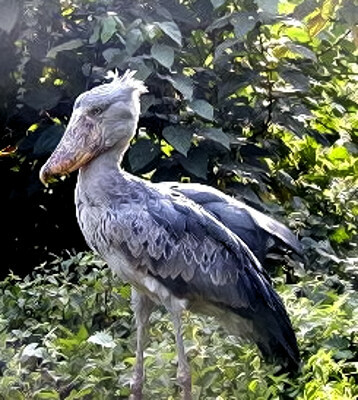 In Tanzania the shoebill is found in the west and northwest. 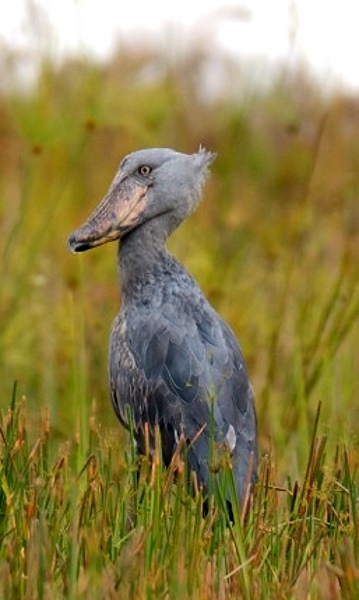 The left upper photo, taken in Uganda, is courtesy of Valéry Schollaert; the right upper, in Malagarasi (11-16). 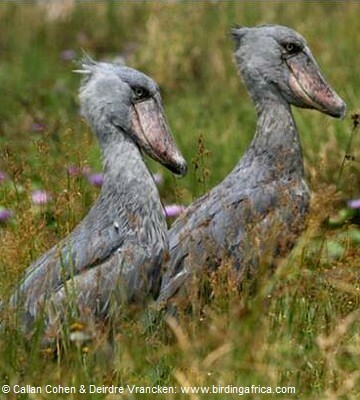 The left 2nd row bird was photographed in Queen Elizabeth National Park in Uganda, courtesy of Andy Roberts. 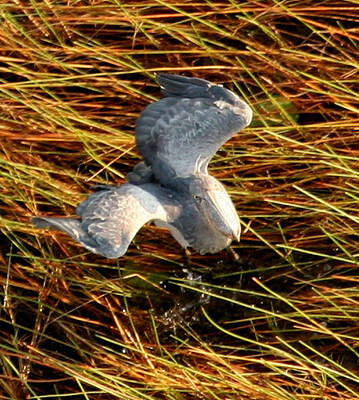 The displaying and flying pair was seen at Lake Victoria (1-11), courtesy of Callan Cohen and Deirdre Vrancken. 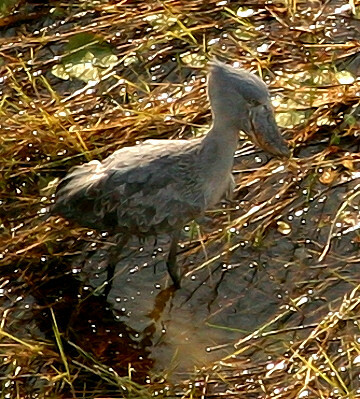 The lower three photos were taken at Moyowosi swamp (8-11), courtesy of Mike Beckner. 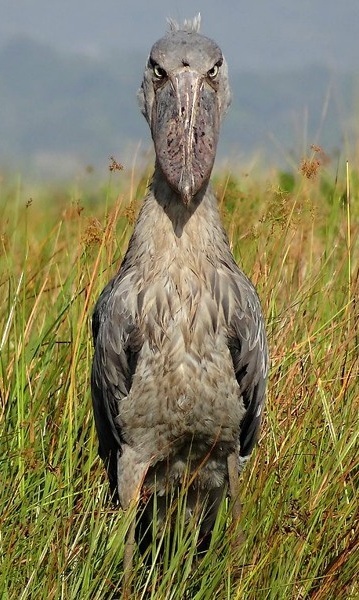 The video is by David Attenborough.